Sign-up and receive Property Email Alerts of Residential Estates in Dainfern Ridge Estate, Sandton. 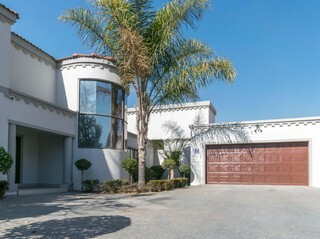 Dainfern Ridge is a residential estate located next to the Dainfern Golf Estate, five kms north of Montecasino and the Fourways retail node. The entrance to the estate is across the road from Dainfern College, a private school catering for children from Grade 0 to Matric. Dainfern Ridge was established in 1994, and is now fully developed with some 230 Mediterranean-style houses. The private estate features tree-lined boulevards, landscaped parks, and an extensive riverine area and dam which attract many wildlife species. The estate is particularly sought-after by families with children, and the consistent demand for houses in Dainfern Ridge represents an opportunity for investors. Dainfern Ridge is fully secured and access-controlled.